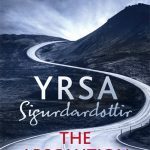 Having recently read and enjoyed The Absolution, the third in the ‘Freyja and Huldur’ series, I returned to the first book – The Legacy – in my ongoing Icelandic crime fiction reading marathon. A prologue begins with three children being split up by social services – something that will clearly have ramifications later. And indeed, when we move forward to current-day Reykjavik, a woman named Elisa suffers a particularly grisly fate. Huldur is sent to investigate along with members of his team. Finding a motive for the crime seems to be key, but there doesn’t appear to be one. There is a witness in Elisa’s daughter, Margrét – but the child is understandably traumatised. So the police need to work with ‘Children’s House’ where we meet Freyja. 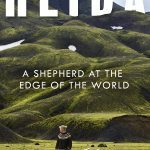 Iceland is a small place, and it’s particularly unfortunate that Huldar and Freyja had a one night stand that ended with Huldur running away in the morning. Things are going to be a little frosty. 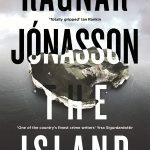 One key component of this tautly told tale is a shortwave numbers station, which unusually is broadcasting in Icelandic. What could it mean? And how is it linked to the case? A good start to the series, with a few sharp barbs along the way.